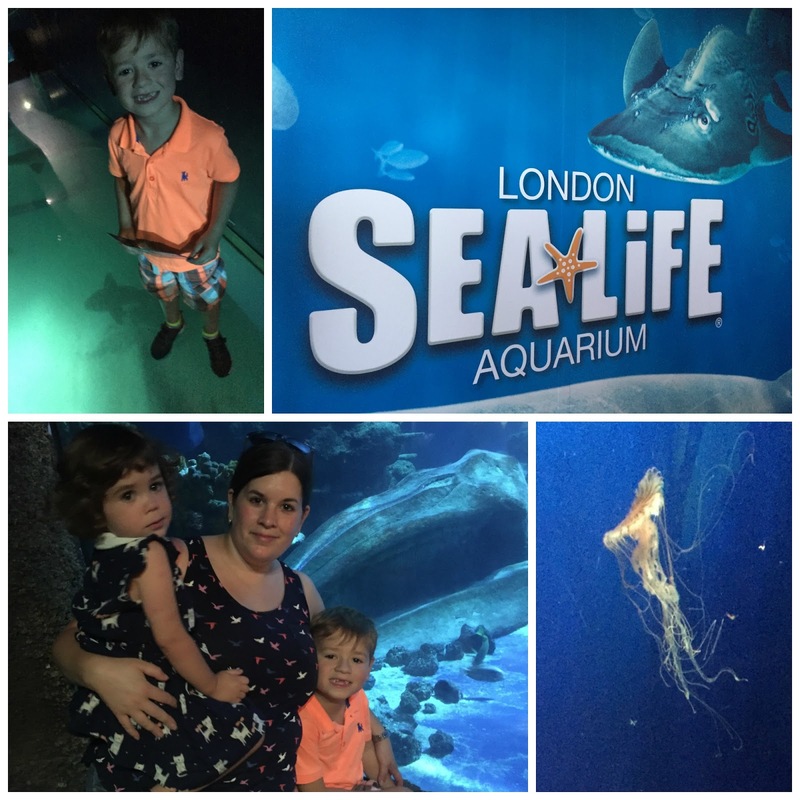 Over the last few weeks right at the end of the summer holidays we had a house guest from Germany staying with us and because its only her 2. time in London we decided to have a day out in town and visit the SEALIFE London Aquarium with Melissa. Finn remembered from previous visits that right at the start of the tour there is a glass floor where you can spot the sharks and walk right above them he was exited and anxious at the same time but he loved it even more this time…until a massive shark came right up to the gas that is and he jumped to safety i wish i filmed it it was quite funny to watch #badmummy! Finnster stroking a sea star, lots of turtles colourful fish pods and funny looking fishes and Finn photobombing Melissa’s Picture. 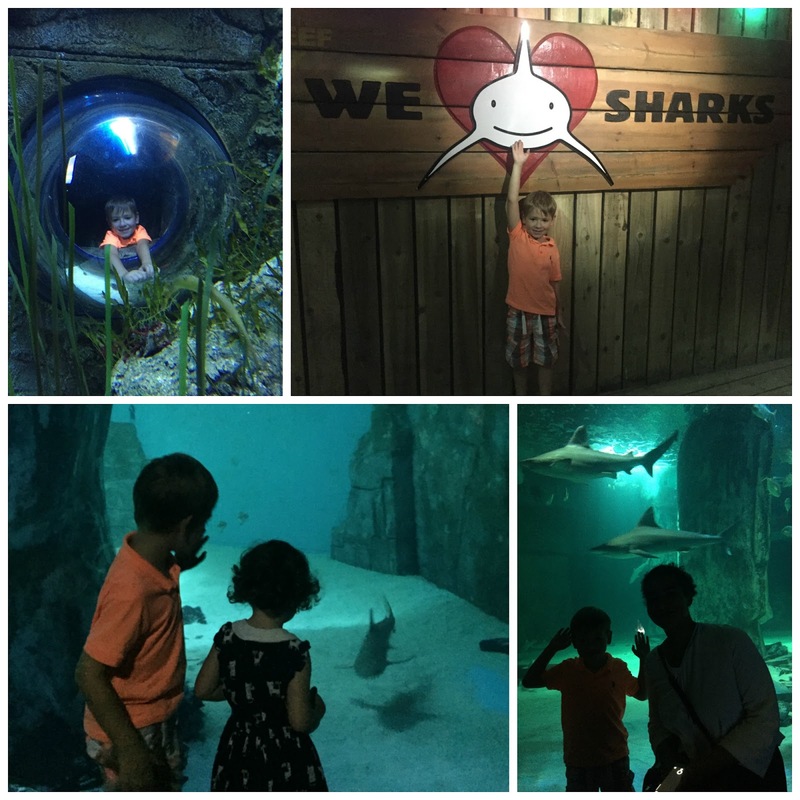 We absolutely loved this little area which is called Frozen Planet: Face to Face experience (and has been new to the aquarium since February this year!) 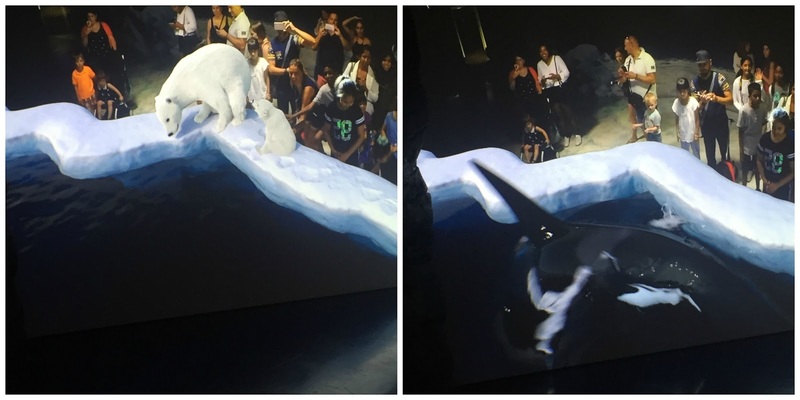 where there is a computer animated pond with ice around it and up popped a polar bear with its cub and a massive Orca wale. Finn thought it was pretty cool but he didn’t quite understand why he couldn’t see himself on the screen when he jumped “into the water”. Got to love technology!! and couldn’t get enough of the massive skeleton in the shark tank! We watched one of the penguins dive around in the water area of the penguin tank which was very amusing and the kids both sat there in silent for quite a while. with the 2 massive sharks swimming behind them! 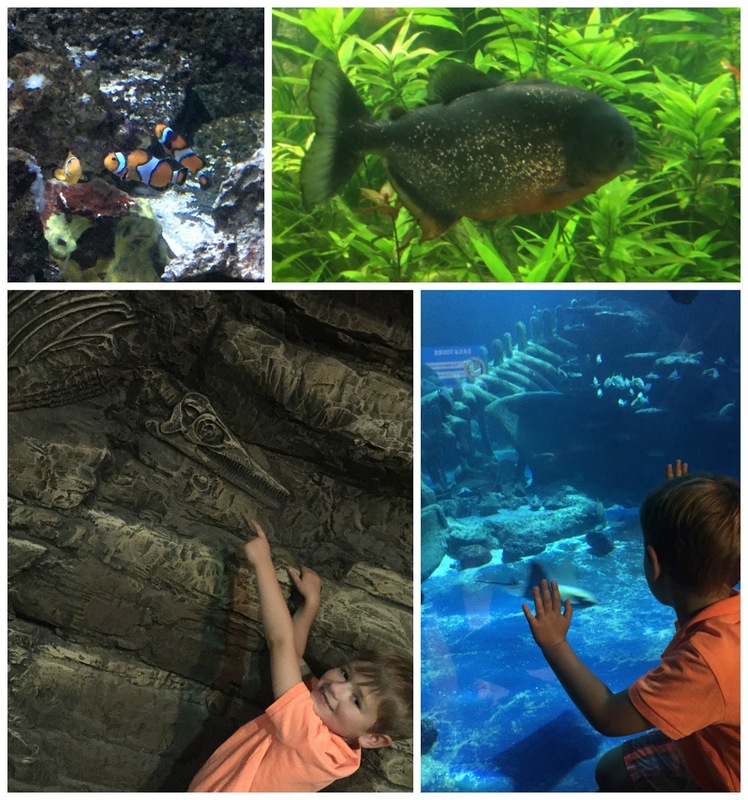 I would say you can do the whole Aquarium in about 1-2 hours we took about 1.5hrs this visit! We had a fantastic time and will defiantly go and visit soon! and we had slight problems passing through with the buggy. 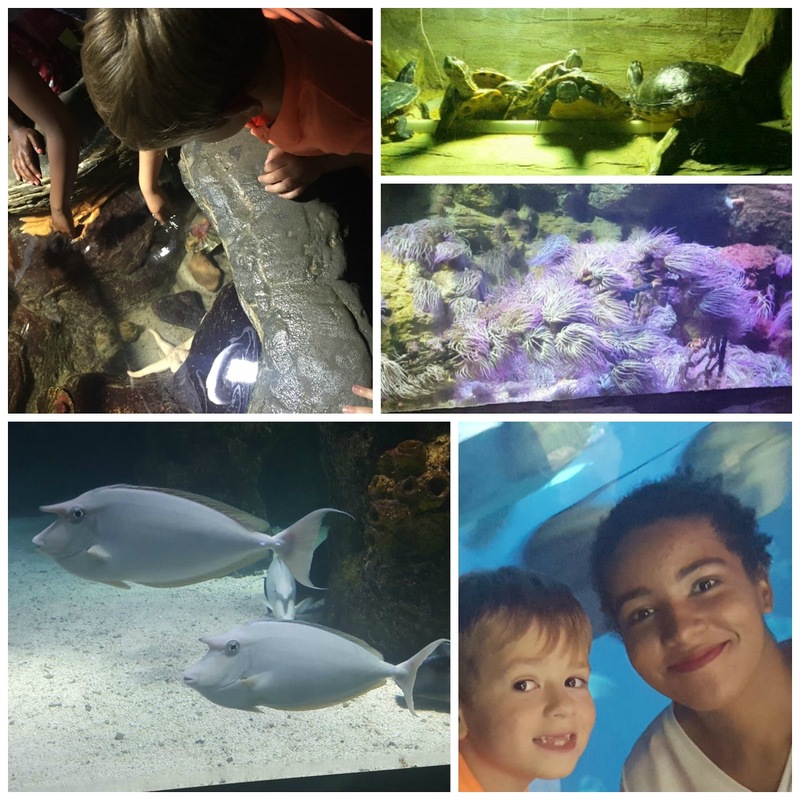 Its a shame the London Aquarium haven’t got a buggy park to store the buggies there until we finish our tour but i think the next time we visit we might just brave London Town without a buggy and just take the carrier for little miss instead! Disclaimer: I have been sent some SEALIFE Tickets for reviewing purposes, but all thoughts and opinions are mine.